Arie Kizel, a professor of pedagogy from the University of Haifa in Israel gave a lecture in the opening session of the Interfaith forum. 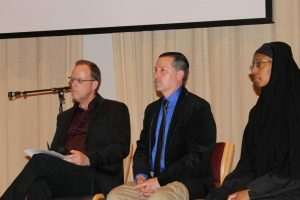 Luther College hosted an Interfaith Forum from Thursday, April 4 to Saturday, April 6. The event was a gathering of speakers, faith leaders, and students from several colleges across Iowa designed to promote collaboration and dialogue between people of different faiths. This event has been held in various colleges across Iowa in past years, including Drake University and Simpson College, but this is the first year it was at Luther. The forum was planned by a committee led by Professor of Religion Gereon Kopf, and sponsored by the religion department, women and gender studies department, the Center for Ethics and Public Engagement, College Ministries, and The Center for Intercultural Engagement and Student Success. The event started on Thursday with a discussion from speakers who each represented a different faith. The first speaker to present was Arie Kizel, a professor from the University of Haifa in Israel. He was followed by Louis Komjathy, a professor from the University of San Diego, who brought a Daoist perspective. The final speaker was Sister Katherine Weston from St. Xenia Metochion Monastery in Indianapolis, an Eastern Orthodox worship space. 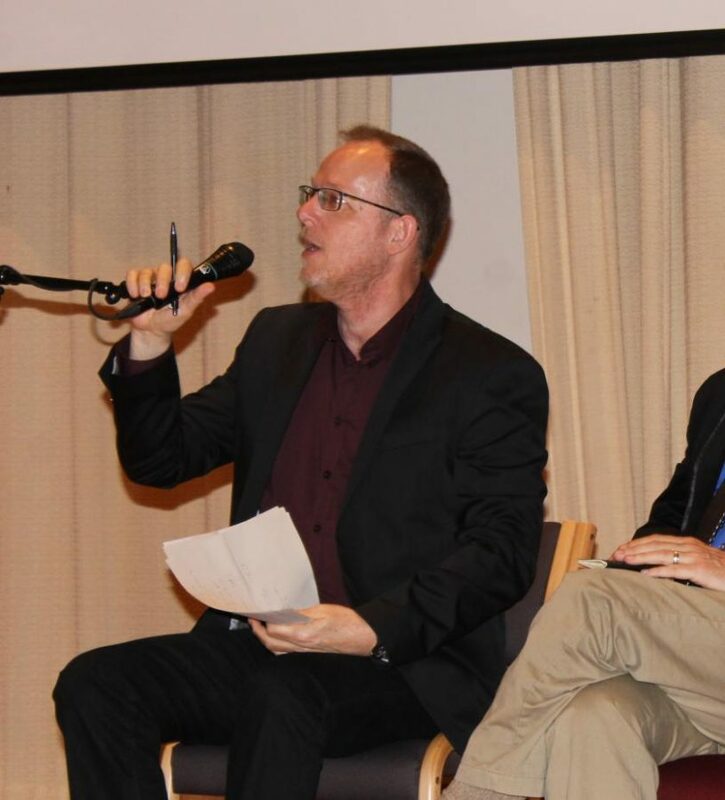 After each of these speakers discussed topics relating to interfaith dialogue and collaboration, they engaged in a discussion with members of the audience. College Pastor Mike Blair, who helped plan the forum, was encouraged by how many people of different faiths were participating. Friday afternoon there were several different faiths on display in the workshops. There was a Shamanic session with Amy Chicos, a shaman from Decorah, a zen meditation session with Laura Demuth, who is also from Decorah, and a Hindu worship with Pt. Upreti from a Hindu temple in Des Moines. The day concluded with a special presentation called “Religious Bigotry and Interfaith Collaborations in the Midwest,” led by Drake University Professor of Philosophy Timothy Knepper and Kathy Garms from the Adbelakder Education project. Professor of Pedagogy from the University of Haifa in Israel Arie Kizel, Professor from the University of San Diego Louis Komjathy, and Sister Katherine Weston from St Xenia Metochion Monastery in Indianapolis hosted workshops on interfaith dialogues. Johnson talked about the benefits of having these kinds of events on campus. The day concluded with two workshop forums, “Foundations of Interfaith Leadership” and “Tackling Challenging Conversations.” These two events were hosted by the Interfaith Youth Core. Associate Professor of History and Director of the Center for Ethics and Public Engagement Victoria Christman believes the diversity of these events is important to Luther.